We arrived around 9:30pm Friday night, without reservations. There was quiet a bit of people waiting. They said it was about a 30 minute wait. I don’t think it took that long at all. We were starving so I didn’t pay too much attention to the time. Although, after we were seated no one came to our table for about 10 minutes. It was a busy Friday night. We stopped a waiter that was walking by and he quickly apologized and offered to take our order. After that our service was pretty great. Our glasses of water never went below halfway. 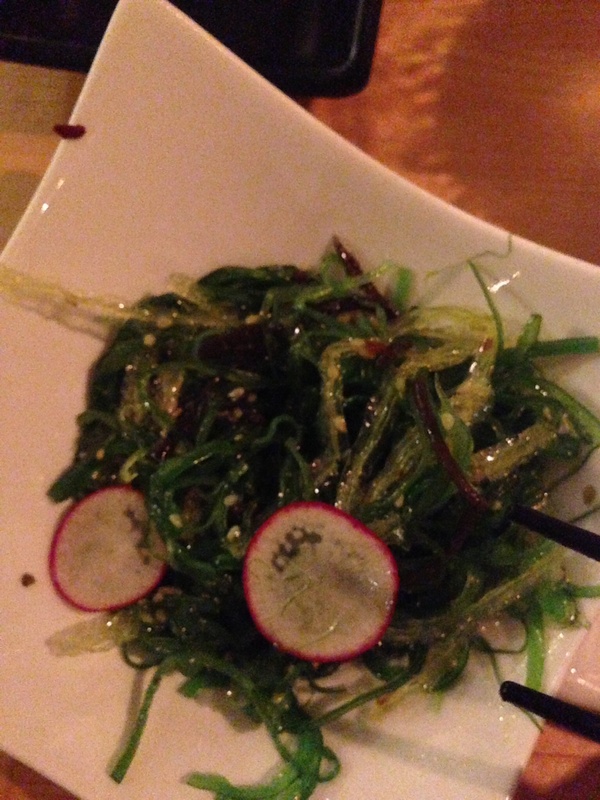 We were surprised to find out ramen was only on their lunch menu. Oh well, the choices looked delicious and pretty well priced too. I love eating with my Asian friends, they understand family style eating aka ordering courses and sharing. 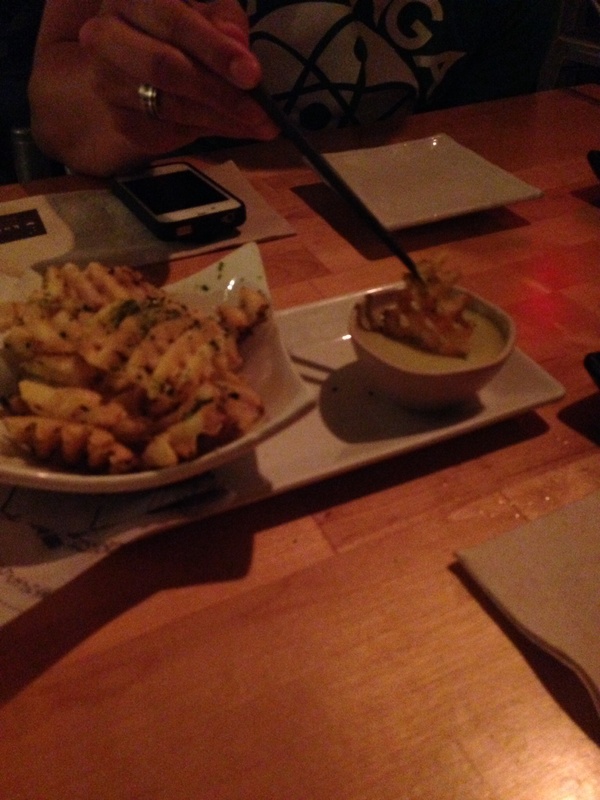 Then worked our way to the awesome Komé French Fries “Ao-nori salted French fries with a side of honey-wasabi aioli for dipping.” Excuse me while I wipe up my drool. 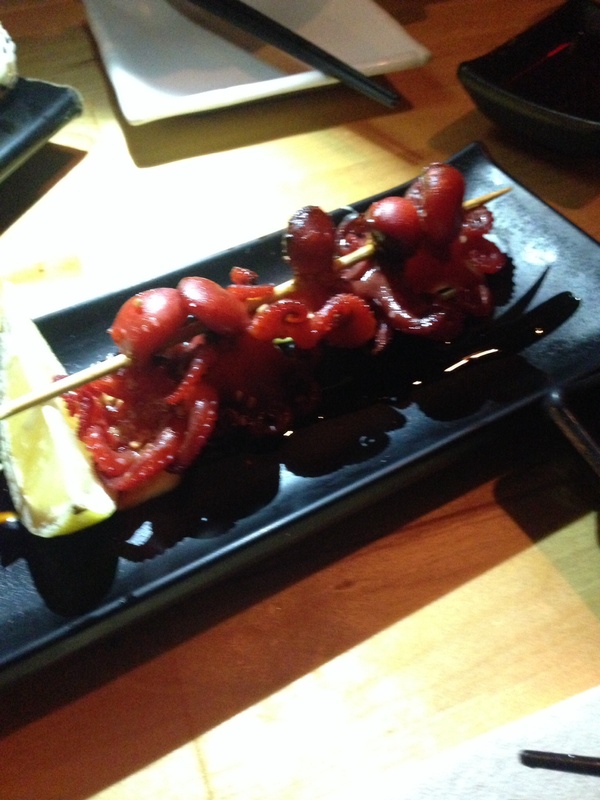 Next only two of us ventured to indulge in some Iidako (Baby octopus skewers) delicious! 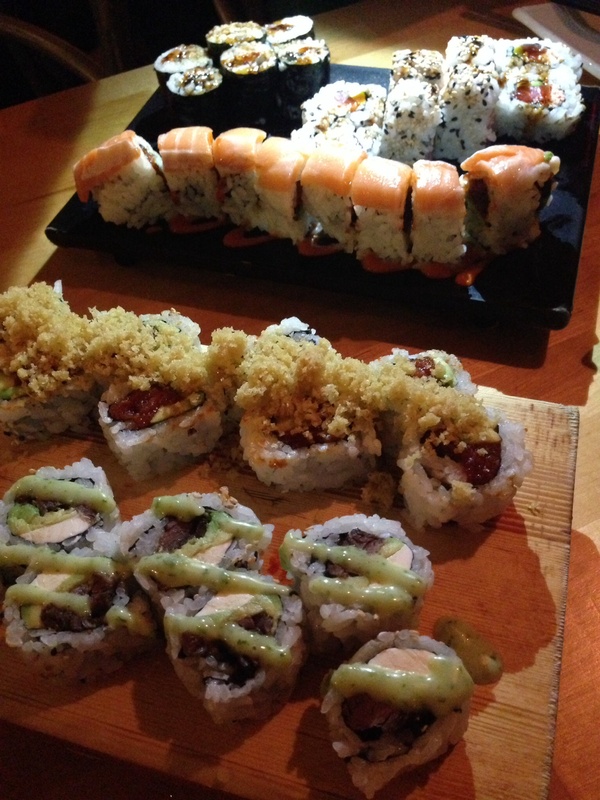 Then we ordered about five different sushi rolls. I recommend all of them! My tummy and taste buds were delightfully satisfied.